AVAILABLE IN THREE DIFFERENT BODY STYLES. 5 P.S.I. Minimum 250°F. Maximum Temperature. 150 P.S.I. Maximum (Air Only). QUICK EXHAUST VALVES are used with Air Cylinders, Brakes, Clutches, etc. to speed their reaction or travel time by exhausting the air directly to atmosphere rather than back through a restrictive control valve. All Bodies are 1/2″ Wide. AS A QUICK EXHAUST VALVE: Install Quick Exhaust Valves in the ports of a double acting or single acting Air Cylinder to obtain maximum speed. AS A FLOW CONTROL VALVE: When using a control valve with without flow control valves, install Quick Exhaust Valves, with adjustable exhaust accessory, in cylinder ports to obtain speed control. Use on valves with a common adjustable exhaust by installing a Quick Exhaust Valve, with adjustable exhaust accessory, in one cylinder port for speed control in one direction. Other direction is controlled by the common adjustable exhaust at the valve. 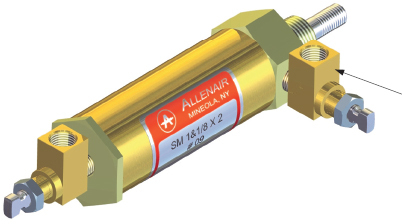 AS A SHUTTLE VALVE: By connecting two separate lines to the inlet and exhaust ports respectively and the output port to a single point, you can have two different pressures going to a single destination.